You may have seen this previously but I thought I'd dig it up again as I have been looking at the FBI Internet Vaults. 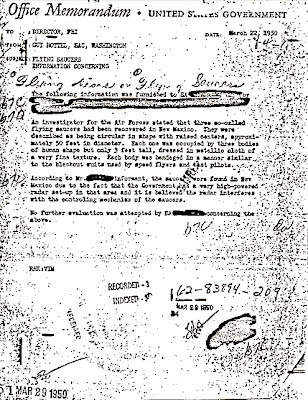 This goes back to 1950 and is a memo sent by Guy Hottel to the then FBI director J Edgar Hoover and is about 'flying saucers and 3 feet tall aliens'. Now before this is written off as meaningless Hottel was an important man within the FBI. His biography reads: "In December 1936, he was named acting head of the FBI’s Washington Field Office; he was appointed special agent in charge the following May and served until March 1941. Hottel was re-appointed special agent in charge in February 1943 and served until 1951." So here is the memo. It hasn't copied all that well but there is a translation below or you can view the memo yourself here on the FBI website. 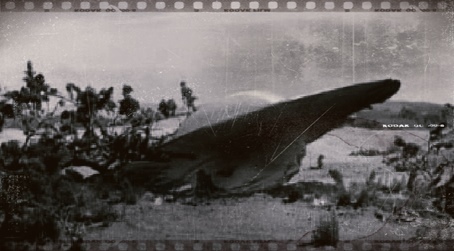 "An investigator for the Air Force stated that three so-called flying saucers had been recovered in New Mexico. They were described as being circular in shape with raised centers, approximately 50 feet in diameter. Each one was occupied by three bodies of human shape but only 3 feet tall, dressed in metallic cloth of a very fine texture. Each body was bandaged in a manner similar to the blackout suits used by speed fliers and test pilots. 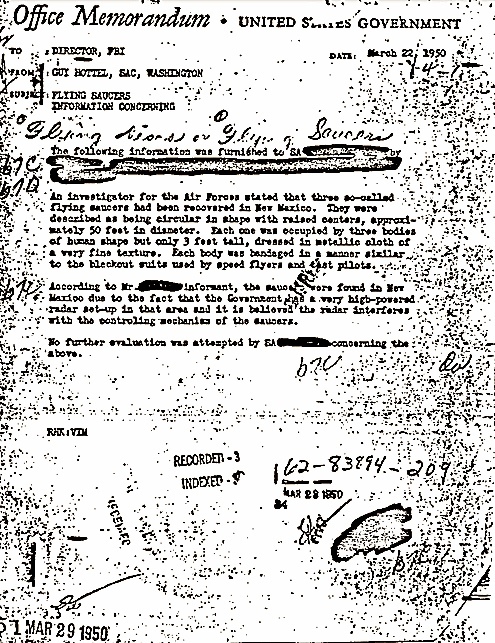 According to Mr _____ informant, the saucers were found in New Mexico due to the fact that the Government has a very high powered radar set-up in that area and it is believed the radar interefers with the controlling mechanics of the saucers." There are more memos from the same period on the subject of UFOs (including the one above) on the FBI website here. 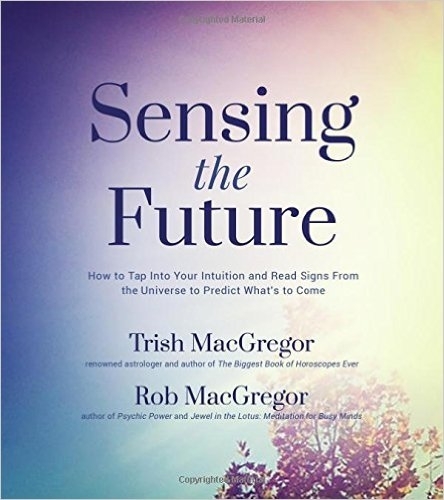 Think of it as you will! 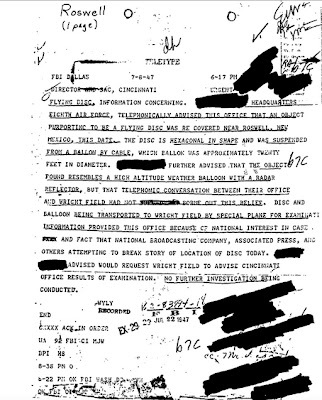 It's interesting, if you have time, to look through the FBI archives - but no doubt they only release what they want the public to see. Youtube is full of info saying aliens are really demons (?). Regarding the second memo.. I would think they'd know what a weather balloon looked like, so why have it specially taken to another place for investigation? Questions answered with questions... it's all we ever get. Oh well, Mike, I think I'll go watch Star Trek reruns. Good one!! Star Trek it is then! Until then the governments are 'protecting us' by holding back info - huh!